Joseph Kyrillos | Community Options, Inc.
A letter from Governor Murphy congratulating Philip Lian and Joan Mueller on winning the Betty Pendler Award, which recognizes leadership and philanthropy on behalf of people with disabilities. Each year, the award is given to those who exemplify the mission of Community Options and demonstrate their commitment to ensuring that people with disabilities live their best lives in communities of their choosing. PRINCETON, NJ (July 25, 2018) – Recently, Community Options presented the Betty Pendler Award to Community Options Enterprises Chairman Philip Lian and his wife Joan Mueller. Following that, a letter from New Jersey Governor Phil Murphy’s office arrived congratulating Lian and Mueller for the accolade and also for their years of service to individuals with disabilities. The Betty Pendler Award recognizes leadership and philanthropy on behalf of people with disabilities. Each year, the award is given to those who exemplify the mission of Community Options and demonstrate their commitment to ensuring that people with disabilities live their best lives in communities of their choosing. Past recipients of include Ambassador Nikki Haley, Governor Tom Kean, Elaine Katz of Kessler Foundation, Senator Joe Kyrillos, and Gail B. and Senator Robert Gordon. Lian was recently appointed Chair of the Board of Directors of Community Options Enterprises (COE). COE operates entrepreneurial businesses that actively integrate people with disabilities into the workforce. Mr. Lian brings more than 30 years of finance, insurance, and risk management expertise. For the past twelve years, he has managed his own financial services and insurance practice. Throughout his tenure as a Board Member of COE, Mr. Lian has been instrumental in expanding critical housing and employment programs for individuals with disabilities. His leadership helped establish two new programs in New Jersey; the Red Ribbon Academy in Hillsborough, which opened in 2016, and Vaseful in Princeton, opening later this year. The Red Ribbon Academy provides quality day services that foster growth and progress to adults with disabilities who are medically fragile. Vaseful, which currently has one location in Edison, is a full-service retail flower and gift shop. While serving local and online customers as a traditional florist, this unique business also provides employment and training for people with disabilities in an integrated setting. Robert Stack, President & CEO of Community Options presents the letter from Governor Murphy to Philip Lian. Mr. Lian serves as a trustee for the Wagner Free Institute of Science of Philadelphia and Xaverian High School. 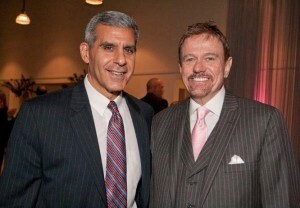 He also chairs the Insurance Committee and is a member of the Finance Committee for the Union League of Philadelphia. Mr. Lian holds a B.A. degree from Fordham University with majors in Finance and Economics. Governor Murphy is a supporter of Community Options and visited one of their entrepreneurial businesses, the Daily Plan It, in 2016. For over 29 years, Community Options has developed housing and employment programs for people with disabilities – serving thousands of people through over 40 offices across 11 states. Community Options provides advocacy assistance to empower people with disabilities because all people – regardless of ability level – should live and work in the community with dignity, choice and self-determination. Stack with Lian and Joan Mueller at Community Options’ annual iMatter Golf Outing. Gail and Senator Gordon were honored during Community Options, Inc.’s spring iMatter Golf Classic at the Alpine Country Club in Demarest on May 23, 2016. May 27, 2016 – Florio Perrucci Steinhardt & Fader is proud to announce that Gail B. Gordon, Of Counsel in the Rochelle Park office, and her husband State Senator Robert Gordon (D-38) have been presented with the prestigious Betty Pendler Award by Community Options, Inc., a national non-profit organization which provides residential, employment, and support services to individuals with disabilities. Gail and Senator Gordon were honored during Community Options, Inc.’s spring iMatter Golf Classic at the Alpine Country Club in Demarest on May 23. The award is named in honor of Betty Pendler who was well-recognized for her tireless efforts in helping those with disabilities. Each year the award is given to those who exemplify the mission of Community Options and demonstrate their commitment to ensuring that people with disabilities live their best lives in communities of their choosing. Recent recipients of this award include Governor Tom Kean, Elaine Katz of Kessler Foundation, and Senator Joe Kyrillos. Gail serves on the board for Community Options Enterprises (COE), having been appointed as a trustee last year. Gail and Senator Gordon have served as Chairs of the Community Options, Inc.’s Cupid’s Chase 5K fundraiser event held in Glen Rock each year. She is well-recognized for her work in government & community relations, crisis management, as well as for her political, hospital and non-profit fundraising expertise. Senator Gordon has been supportive of Community Options’ mission for the last 5 years, as he has advocated for services for people with disabilities in the community. He serves on the NJ Senate Health & Human Services Committee where he is vocal in his support of the necessary support for individuals with disabilities. Community Options is headquartered in Princeton, NJ. For more information please visit http://www.comop.org/about-us/. PRINCETON, NJ (April 6, 2015) – Every year since 1991, Community Options presents a citizen with the Betty Pendler award. This year’s recipient is Elaine Katz, the Senior Vice President of Grants and Communications for the Kessler Foundation. Each spring, Community Options selects a distinguished person who exemplifies the mission of Community Options as the Betty Pendler Award recipient. Betty Pendler was a member of the board of directors for the AHRC in New York City. Pendler was committed to people with disabilities, their families, and those who served them, in addition to raising a daughter with a developmental disability. Pendler passed away in 2001. Katz will be recognized at 6:30 pm on Friday, May 15 at 14 Farber Road in Princeton with the ceremonial ribbon cutting for the opening of Community Options’ second Daily Plan It in the town. The Daily Plan It, which will employ up to eight people with disabilities, is a complete office, conference and copy center that offers furnished space or virtual tenancy to a variety of businesses. The 14 Farber Road location will include 12 luxury offices and a state of the art conference-training room, both available to lease. Community Options is a national nonprofit, founded in 1989 by Stack, which provides housing and employment services to people with intellectual and developmental disabilities. Katz oversees, implements, and monitors grants that directly fund programs supporting innovative services to advance employment opportunities for people with disabilities. Katz’s work has had a profound effect on Community Options, as the nonprofit has received grants from the Kessler Foundation to start the School to Employment Program (STEP) in 2008. STEP is a job training and transition program for high school students and young adults with special needs. STEP provides students with transferable vocational education and relevant social skill development. STEP has provided transition services to over 200 people with disabilities around the country. In 2013, Kessler funded Community Options with an additional grant to create an innovative marketing training program for our social enterprise Vaseful, a nonprofit flower shop in Edison, NJ that offers high-quality floral services and successfully integrates people with disabilities into the workforce. Katz has over 25 years of consulting and experience working with non-profit organizations in areas of board development, fundraising, marketing, social enterprise and business development. 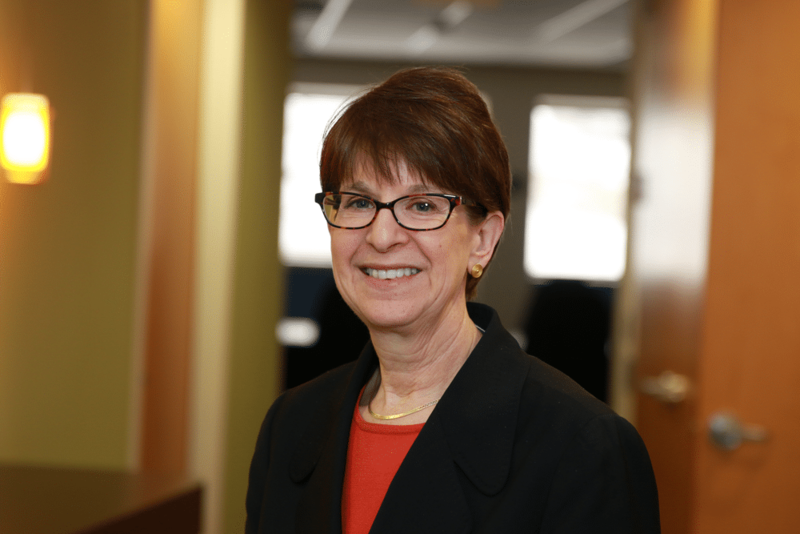 Katz currently serves on the board of directors of Association of People Supporting Employment First (APSE), the Disability Funders Network, Board Chair for JESPY House, and on the program committee of the Council of NJ Grantmakers. Katz is also an appointed member of the Disabilities Issues Committee of the NJ State Employment and Training Commission (SETC) and Union County New Jersey Human Services Advisory Council. 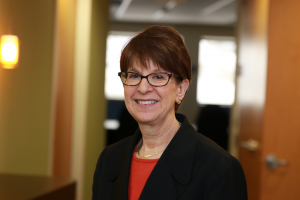 Katz is also a member of the Essex County Workforce Investment Board Disabilities Issues Committee, and former National Research Advisory Panelist for NTAR Leadership Center at Rutgers University. Past recipients of the Betty Pendler Award include New Jersey’s 48th Governor, Thomas Kean (2014); NJ Senator, Joseph Kyrillos (2011); U.S. Department of Education and disability advocate, Madeleine Will (2000) and Chairman of NJ Republican State Committee, David Norcross (1997). Through her years of continued advocacy and support for people with disabilities everywhere, Community Options is proud to honor Elaine Katz with the Betty Pendler Award. “In my 50 years in this field I have never, ever seen a Governor come to any home operated by an agency supporting people with disabilities” said long-time Community Options Trustee and Chairman of the York Foundation, Dr. Clarence York. In the most recent board member meeting, Robert Stack explained that when South Carolina Governor Nikki Haley came into the house, she asked one of the residents to give her a tour. Rebecca, one of the residents, led the Governor around the home. 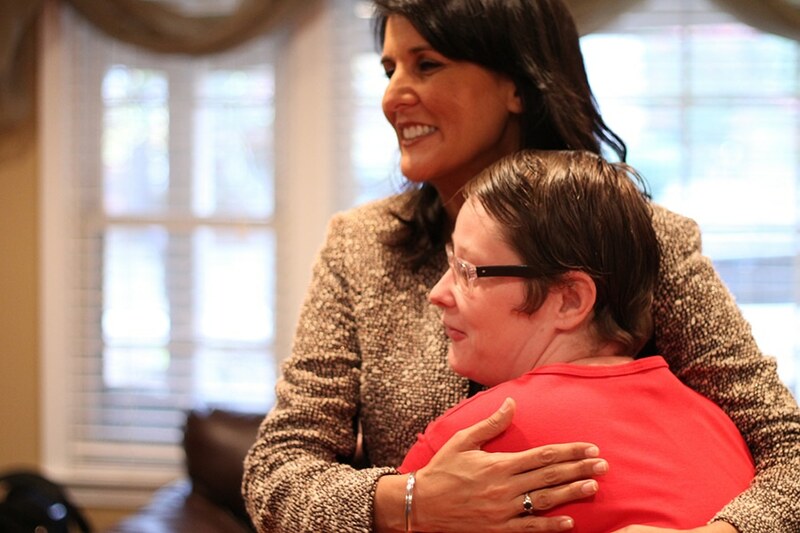 Instead of starting with her bedroom or the kitchen, she went right to the garage to show Governor Haley what she believed to be the most important part of the community, a Ford van (a Ford van, Rebecca explained means freedom to her). “We can go any place we want here,” said Rebecca. Governor Haley asked how the local community accepted our home. Community Options is inspiring to all of us who know this impressive organization. When Robert Stack, founder and CEO started the company in 1989 from his kitchen table, he had no idea that the mission would expand to a total of eight states. The ninth, Mississippi, will be added any day now. The simple goal of Community Options is to provide a higher quality of life for individuals with disabilities living in state institutions. Over the past two decades, we have seen the realization from state government leaders that a small group home is a better way for these individuals with significant disabilities to live and enjoy life. Many of them understand it is a moral issue and reflects a stronger mutual benefit to our society. Ironically, this is also a smarter financial plan for state governments. In New Jersey, every individual who leaves a state institution and moves to a group home, saves the state approximately $100,000 annually. In addition to the group homes Community Option provides, employment opportunities and on the job training are provided to the clients. The Daily Plan It located in Morristown, NJ and Vaseful Flowers in New Brunswick, NJ are two businesses where Community Options provides ongoing, appropriate level of work for those clients who are able and willing to work. They have fun, receive a paycheck and contribute to society. In 2014, Community Options will be celebrating its 25th Anniversary! We are planning a celebration in May. Please stay tuned for details. In the meantime, enjoy the upcoming holiday season with your family! Featured in photo: David (Matt) Armstrong, Director Intellectual and Developmental Disabilities Bureau, Jerry Avery, Director of Dept of Mental Health, Bureau of Alcohol and Drug Screening, Katie Terzian, associate, Daily Plan It Princeton, Ashley Lacoste, Director of Home and Community Based Services & Ed LeGrand, Executive Director, Mississippi Department of Mental Health & Steven Verba, Managing Director for Community Options Enterprises. 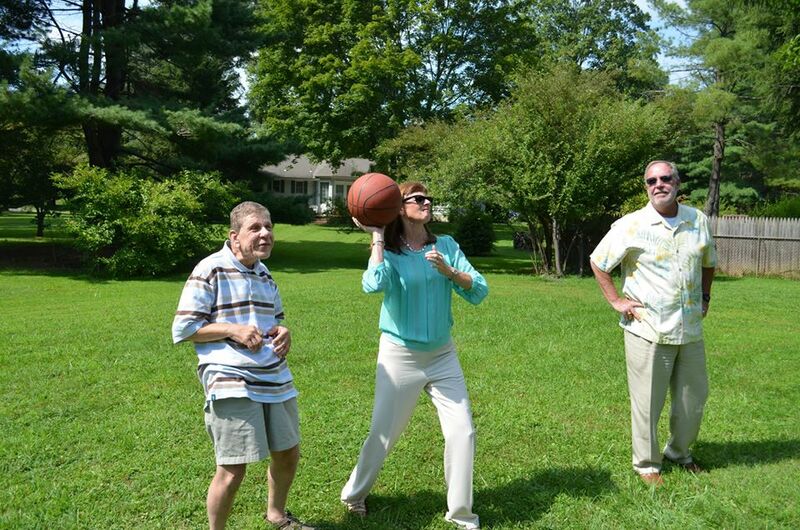 Danny C., Ashley Lacoste, & Ed LeGrand take a break after Danny gave them a tour of his home. Thank You for taking the time to see our group homes, our businesses and visit with the people we support. We are pleased to announce that the improvements and re-design of our website are now complete! Everything is more legible with darker texts on lighter backgrounds as well as smoother web navigation with drop down menus. Users will have an easier time accessing the different types of services we provide, office locations, and our career section with current job openings. When signing up for Cupid’s Chase 5K just click on the Cupid’s Chase tab and you’ll be able to sign up for the race directly on our site, form a team or join an existing team. 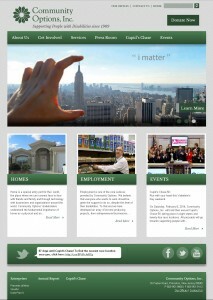 Visit us at www.comop.org to check out our complete re-design and let us know what you think. Community Options would like to thank David Culbertson for generously donating paintings to the Santa Fe day program. Since coming to Community Options in September of this year, Santa Fe, NM Day Program Coordinator, Jon Paszkiewicz, has been working to add value through community activism and involvement, self-advocacy, education, and the arts. As part of this initiative, and with the support of Executive Director Kathy Davies, Jon reached out to local artists. This is how he met David Culbertson. Congressman Frelinghuysen high fives Mo one of the students at the Red Ribbon Academy. Community Options, Inc. welcomed 11th District New Jersey Congressman Rodney Frelinghuysen to the Red Ribbon Academy. Community Options operates this program for young adults with profound disabilities. The Red Ribbon Academy is the first organization in New Jersey that aids adult individuals who have the most severe, medically fragile disabilities in a way that fosters growth and progress. Congressman Frelinghuysen met with Community Options President and CEO Robert Stack as well as Regional Vice President Svetlana Repic-Qira to learn about this program and the therapeutic services it offers. Two parents of the programs participants, Linda Thomas and Marsha DuBose-Wilks, gave Congressman Frelinghuysen a tour of the building. He had the opportunity to visit the program’s state of the art sensory therapy room and meet the individuals receiving daily support as well as their physical and occupational therapists. Frelinghuysen and Stack’s relationship dates approximately 30 years. 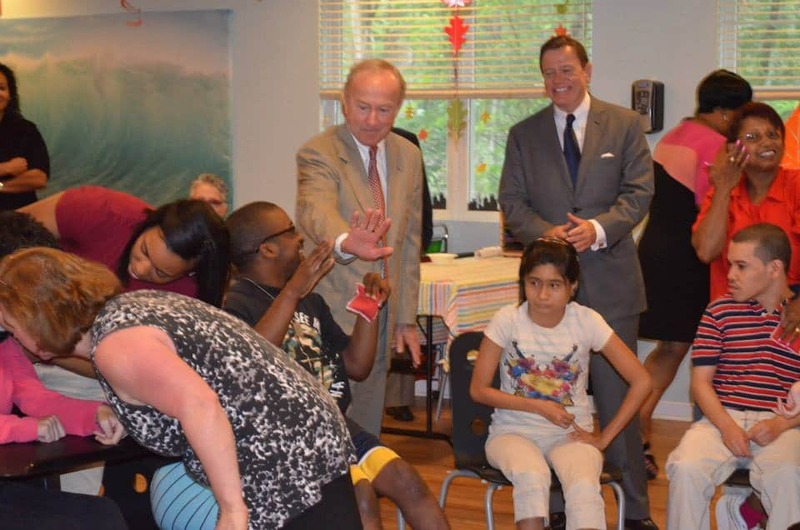 While employed with the state of New Jersey, Stack gave a tour to Frelinghuysen of a state-run institution for people with severe disabilities. At the time, Frelinghuysen was serving his first term as Assemblyman. This is where the two gentlemen forged a relationship based on improving care for people with disabilities. This relationship was founded on a fundamental belief that people with disabilities who want to live in an environment in which they can flourish, should be given the opportunity. The Congressman ostensibly showed that he cared by visiting two of the grateful mothers who fought hard for the program. Before he left, they thanked him for the visit. He hugged them and said, “You are the powerhouses”. 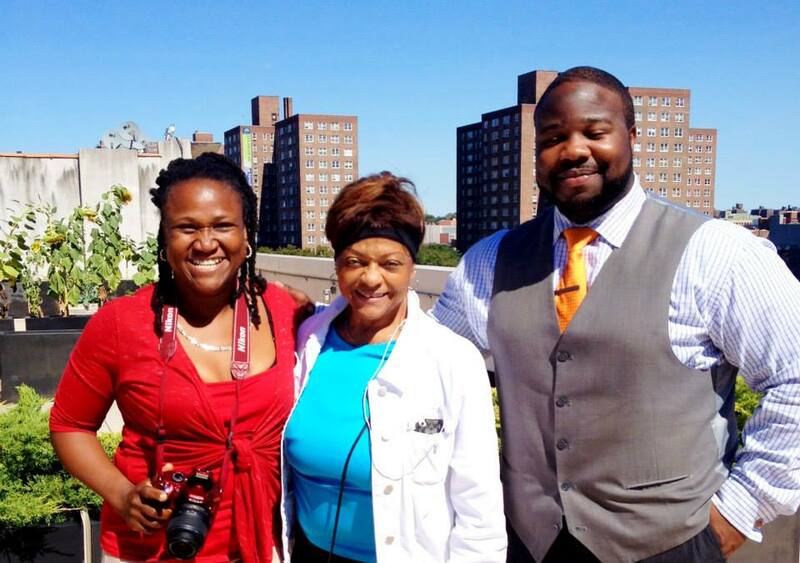 Director of Residential Services, Alicia Henry, New York City Councilwoman Inez Dickens, and Executive Director Christopher Thompson on the rooftop of our home in Harlem were residents have a designated picnic area. The Commission on Accreditation of Rehabilitation Facilities or CARF accreditation signals a service provider’s commitment to continually improving services, encouraging feedback, and serving the community. Please join us in congratulating Hector Johnson, Kathy Davies and Todd Case along with their entire teams on another 3 YEAR CARF Accreditation for all regions in New Mexico! The South Carolina Developmental Disabilities Council awarded a grant to Community Options to establish a STEP (School-To-Employment-Program) in Columbia. With this grant, Community Options is contracting with schools and businesses to provide a certain number of students with disabilities the opportunity to sample jobs and receive direct on-the-job training during the 2013-2014 school year. While they explore possible careers at job sites, they will also learn key skills like interviewing, networking, and resume building. In addition, our employment specialists will ensure the completion of the program so that each student can secure the job that they want after graduation. According to Dorothy Goodwin, the Executive Director of Community Options Columbia office, “This STEP grant will provide some high school students in the Midlands area with special needs the opportunity to develop real work experience prior to leaving high school. It is our objective to assist them with transitioning into the workforce using the skills they will gain from working with partnering companies.” As generally agreed, the transition from school to work is a challenging time for young adults, and these challenges are often magnified for youth with developmental disabilities. As STEP becomes part of their secondary education curriculum and individualized education plan, it will make a difference in addressing and mitigating these issues. Originally developed in New Jersey five years ago, STEP has grown to 25 job sites throughout the Garden State and last year placed 100% of their graduating class into paid employment in a career field of their choosing. A few years ago, Community Options received a grant to expand STEP to Pennsylvania, and now looks forward to making the same impact in helping young adults with disabilities achieve their dreams to be independently employed in the Columbia community. Community Options’ Cupid’s Chase 5K run is a national fundraiser that takes place in 24 cities, throughout eight states, on the same day. Each race is set to start at 10 a.m. Thinking of buying flowers? 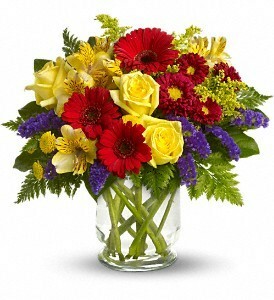 Vaseful has traditional centerpieces or modern arrangements or even plants for a fun surprise. Either way, make someone smile with flowers! Can’t be there in person? Vaseful can deliver nationwide! 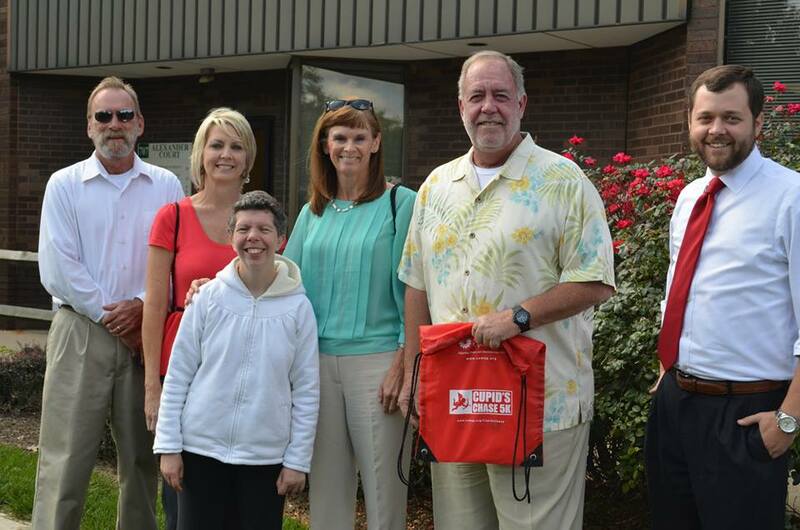 Community Options, Inc. provides housing and employment support to people with disabilities. Philosophy: All persons, regardless of their level of disability, can and should live and work in the community with dignity, choice, and self-determination. Community Options, Inc. announces Susan Kyrillos as chairperson of the Community Options’ 25th Anniversary Gala. The event will take place in May 2014 at the Hilton Hotel in East Brunswick, New Jersey. In 1989, Robert Stack, President and CEO, founded Community Options at his kitchen table in Bordentown, New Jersey. Now, almost twenty-five years later, Community Options is the eighth largest nonprofit organization in New Jersey and has expanded to eight states while remaining true to its mission. Susan Kyrillos is a longtime supporter of Community Options. 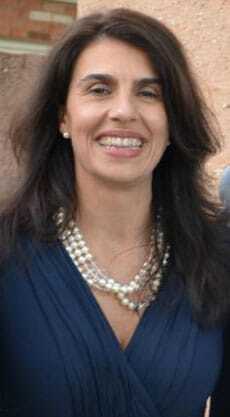 She lives in Middletown, New Jersey with her husband, Senator Joe Kyrillos and their two children. Mrs. Kyrillos has maintained a distinguished career in both the private and public sectors. She holds a Bachelor of Arts from the University of Missouri-Columbia and a Master of Arts from Seton Hall University. Community Options is honored to have Susan Kyrillos as the Chairperson of our 25th Anniversary Gala. 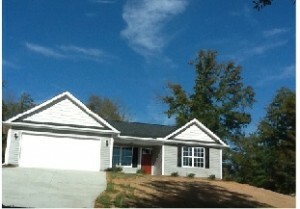 Community Options has recently purchased its first home in Simpsonville, SC. The house is located in Greenville County and will be home to four men; two are already settling in. The staff and residents are busy meeting the neighbors and learning about the community while awaiting the arrival of their two new housemates. Fortune 500 giant, Toys “R” Us (TRU), has begun a partnership with Community Options to staff their distribution center located in Mt. Olive, NJ. Realizing the tremendous benefits that hiring people with disabilities provides to corporations, TRU has begun a campaign to add a substantial number of workers with disabilities to their workforce in their NJ distribution center, along with many other locations throughout the country. Community Options has been selected as the sole provider of disability employment services to TRU. Looking for an established service provider with a record of proven success in disabilities services, TRU approached Community Options about beginning a partnership in the spring of 2013. The intention of this partnership is to add up to 15 people with disabilities to their workforce by the 2013 holiday season. In June of 2013, the first member of this program was successfully integrated into the workforce and has already begun their contributions to the team. There are now four people who have been brought into the Mt. Olive operation. Adding people with disabilities to a workforce not only increases diversity, but also increases retention rates and lowers hiring and training costs (U.S. Department of Labor, Office of Disability Employment Policy). Community Options looks forward to a continued partnership with TRU that will provide more employment opportunities for people with disabilities. Executive Director, Brian Dion continues to expand at exponential rates in the Leigh, York and Philadelphia counties area. Citing need against a stellar reputation, Mr. Dion has dramatically expanded supports for Pennsylvanians with developmental disabilities throughout the central region with 12,000 people living in institutions, Pennsylvania still struggles with institutional closure. In Pennsylvania, Community Options operates 38 homes for 99 people. 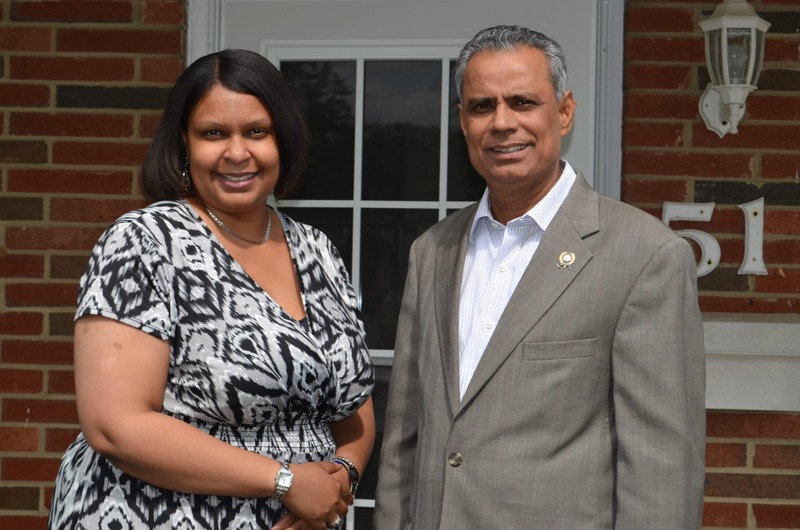 Community Options Executive Director Maria Bowles & Assemblyman Upendra Chivukula outside of our Monroe, NJ home. Assemblyman Upendra Chivukula displayed his continued support of disability awareness when he toured a Community Options group home. On Tuesday, June 11th, Chivukula visited with residents at their group home in the Monroe community in order to get a better understanding of the community supports available to individuals with disabilities. The group home Chivukula visited is the home to three men, Abhi, Richard and Robert who found new lives when they moved into the house, in 2001, 2006 and 2007 respectively. Like many who live in the community, these men faced Hurricane Irene and witnessed the flooding of their home. The home was completely destroyed and the men had to be evacuated by boat. They relocated for a year and a half while the house was gutted and renovated. According to Maria Bowles, the Executive Director of Community Options, “This is their home, so this was a major adjustment for them,” but it is just one example of the many growing and learning experiences individuals can gain when they have a chance at life in the community. 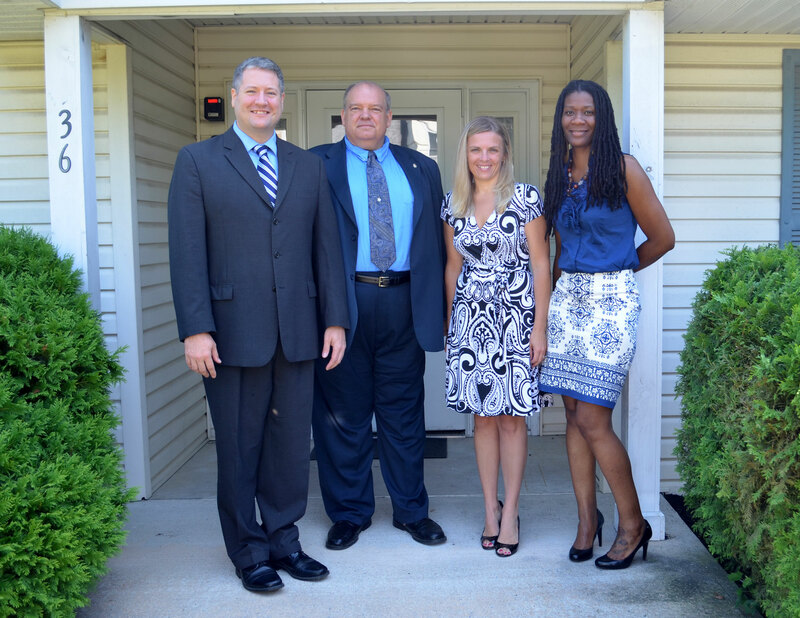 Assemblyman Dan Benson, John S. Pavlovsky Jr., CPA & Chairperson of the National Community Options Business Advisory Council, Svetlana Repic-Qira, Community Options Regional Vice-President for New Jersey, & Hope Kye, Community Options Executive Director for Mercer County, New Jersey at our Hamilton Home. Community Options has received a three-year federal grant from the Office on Violence Against Women (OVW). The grant funding provides a unique opportunity for our two organizations to develop a strong, long-term partnership and to assess our two organizations to determine what we are doing well and how we can improve our current systems to best serve individuals with intellectual disabilities who have experienced domestic and/or sexual violence. Community Options and our partner agency Genesis House, Inc., a domestic and sexual violence intervention agency, have established a collaboration that we have named Putnam Access. Our focus is on creating systemic change to improve the lives of individuals with intellectual disabilities who experience domestic and/or sexual violence who live in Putnam County, Tennessee. Sexual abuse of people with disabilities is at epidemic levels. Research shows that 83% of women with developmental disabilities have been sexually assaulted at some point in their lives. Of those individuals with developmental disabilities who have been sexually assaulted, 49% experienced ten or more abusive incidents in a lifetime, and 96% knew the perpetrator. In addition to facing an increased risk for sexual assault, women with disabilities may face difficulties escaping abusive situations because they often depend on their abuser to help them with daily routines and basic life skills. This dependency, on top of potential physical limitations, communication barriers, fear, and isolation, can make leaving an abusive situation and reporting abuse extremely difficult. In April 2013, Community Options received a contract award from the New Mexico Department of Health – Developmental Disabilities Supports Division (DDSD) that not only renewed but also increased State General Funds (SGF) for our adult services. This award enabled us to expand the number of those we serve in both Santa Fe and Albuquerque to 16 qualifying individuals. Effective July 1st this year, the contract was valued at $141,888 for up to one year. Under this award, we will continue to provide vocational assessment for participants’ pursuit of competitive employment and career opportunities suited for their strengths, abilities, and interests. Building a team of people surrounding the individual, we will develop a coordinated “person-centered” plan of natural supports to drive their growth through opportunities for community integration. For their overall well-being, we complete health assessments and related planning. Funded activities also include promoting self-determination and citizenship through such avenues as registration and participation in voting opportunities, as well as self-advocacy trainings and self-advocate group meetings. “Community Options is excited about the ability to expand supports to individuals with intellectual and development disabilities through SGF in New Mexico,” says Karen Hensley, Community Options Regional Vice-President. DDSD Funds for SGF Services are contracted directly with provider agencies. At the start of this year, the DDSD issued a mandated Request for Proposals state-wide in order to continue contracts with providers. In this competitive process, Community Options was among those selected for contracts – and one of a limited number receiving additional funds – to continue providing vital services that will lead to more meaningful, independent, and healthy lives. As the CEO of a multi-state nonprofit organization supporting persons with developmental disabilities, I see what states are making a difference and what states are doing very little. Pennsylvania’s Governor, Tom Corbett is really making a difference. His budget initiatives for the Commonwealth of PA are very notable. His budget will expand services to provide home and community based services for 380 individuals on the waiting list, 700 students graduating from special education, and 100 individuals from state centers. $18.5 million to provide services to young adults who are graduating from special education system to enable them to live independently in the community. $1.5 million to serve an additional 118 individuals with autism spectrum disorders in home and community based settings. $20 million to serve an additional 1,680 individuals with physical disabilities in community settings. He will also work towards consolidating licensing departments. He seems to be putting the funding towards the services rather than the government. In fact they are more focused on actual services and less on redundant regulations. While the Governor really doesn’t seem to give stump speech on our issues, he has really put initiatives in place that are more quixotic than doing business as usual. 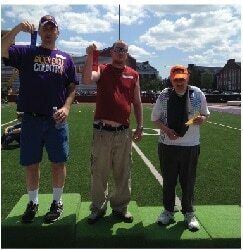 Community Options, Inc. congratulates three men we support for their accomplishments in the Spring Games Special Olympics in Cookeville, TN. Team ComOp swept the 400-meter walk event, with Peter Johnansen coming in first. Dustin Stewart won second place with Paul O’Neal taking third. New Jersey Governor Chris Christie and First Lady Mary Pat Christie have once again displayed their support of Community Options, Inc. and the population we serve. On Tuesday, April 9th, Drumthwacket (the Governor’s Mansion) was the setting for an honorary party to thank the sponsors of the Sandy Relief Fund Benefit. The Drumthwacket Foundation used the services of Vaseful to fill their floral arrangement needs for this important night. Vaseful, a subsidiary of Community Options, is a floral shop that employs individuals with disabilities so that they have the opportunities to learn vocational skills in an integrated setting and lead independent lives while making minimum wage or better. Austin Texas now has Sarah Knowles the new Assistant Executive Director. Sarah joins the Community Options team with seven years of experience in working with people with disabilities. Most recently Ms. Knowles served as the Director of Education and Training at the Austin State Supported Living Center. Ms. Knowles received her Bachelor of Social Work from Texas State University. Community Options has its first home opened in Austin and Sarah has significant plans for growth. Texas still has the largest number of people with developmental disabilities living in 13 supportive living institutions. With a crumbling infrastructure at the Austin facility state officials want to see people with disabilities living in the Austin community. Thank you to all of our sponsors, volunteers & runners. National nonprofit organization, Community Options, will be hosted their Annual Spring Event on Friday, May 18, 2012 at TPC Jasna Polana. May 17, 2012– (Princeton, New Jersey) – National nonprofit organization, Community Options, will be hosting their Annual Spring Event on Friday, May 18, 2012 at 7pm at TPC Jasna Polana. Since 1989, Community Options has been developing homes and employment for people with disabilities. The organization operates in thirty-seven cities across ten states supporting thousands of people and their families with the help of over 2,600 employees. Senator Joseph Kyrillos of New Jersey’s 13th Legislative District will be attending the event as a supporter and advocate for people with disabilities. In 2011, Senator Kyrillos was awarded the Betty Pendler Award, the highest-ranking award given out by Community Options on an annual basis. Betty Pendler was a tireless advocate for persons with disabilities. She was committed to people with disabilities, their families, and those who serve them. She was a person of commitment, good will, new ideas and new approaches to service. Betty was a powerful and enlightened advocate. “Community living for people with disabilities is far better than institutional living. It is morally wrong to institutionalize a person who has done nothing wrong against society,” says Senator Kyrillos. At the event, the organization will be holding a Silent Auction with extraordinary offerings. All money raised at the event will go towards advancing the mission of Community Options, to develop housing and employment for people with disabilities. “We are so grateful for the support of Senator Joseph Kyrillos, he is a true advocate and champion for people with disabilities,” says Robert Stack, President and CEO of Community Options. To learn more about Community Options, please visit www.comop.org. To RSVP to the event, please visit www.comop.org/springevent. You can also join Community Options on Facebook at www.facebook.com/communityoptions.